So we know where the complexity and diversity of life came from. We have elephants, and snakes, HIV, and the tardigrade because of evolution. That theory is set. But we don’t know where itself life came from. We don’t understand the start of it all—abiogenesis. 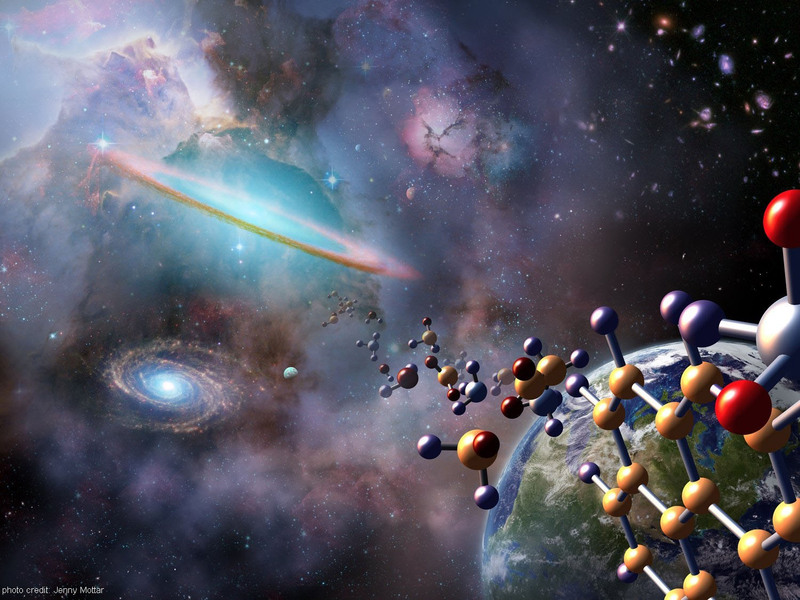 Abiogenesis is the origin of life from non-living matter. And it has been a burning question for some time (since long before Darwin came up with the Theory of Evolution). But there may be an answer looming on the horizon. And this answer is surprisingly simple: Life is inevitable. In a number of papers, physicists have argued that the occurrence of life is a matter of inevitability, and they have a sound formula to support their claims. The new(ish) models that physicists have come up with are formulated on previously established theories in physics, and they conclude that matter will generally develop into systems that, when “driven by an external source of energy” and “surrounded by a heat bath,” become increasingly efficient at dissipating energy. This sounds a little tricky, so let’s break it down. To put it very bluntly, entropy means that things fall apart. Hot things cool off, gas will diffuse through air, a house crumbles but does not instantaneously add on a new kitchen. Thus, as previously stated, things fall apart; they spread out; energy tends to diffuse as time progresses. Entropy is basically a measure of this tendency. It is measuring how dispersed the energy is among the particles in a system, and how diffuse those particles are throughout space. We know that, on the whole, entropy always increases (that things spread apart) because of a simple matter of probability: There are more ways for energy to be spread out than for it to be concentrated. Thus, as particles in a system move around and interact, they will, through sheer chance, tend to adopt configurations in which the energy is spread out. This is where the formula comes in. MIT physicist Jeremy England explains, “We can show very simply from the formula that the more likely evolutionary outcomes are going to be the ones that absorbed and dissipated more energy from the environment’s external drives on the way to getting there [for example, think about how the overall entropy of the universe increases during photosynthesis as the sunlight dissipates]. Some would argue that there is no principle that entropy must be efficient. Yet, work has already been done in this area. Ilya Prigogine, a prominent Belgian physical chemist who is known for his work on dissipative structures, observed that under a generalized chemical potential, we see that material self-organizes into systems which augment the dissipation of that potential. Notably, at this point, the ideas are highly speculative. However, don’t read the last sentence and assume that it means that the ideas are unscientific or baseless conjecture (please, read the linked articles for more information on these theories). Moreover, the theoretical results are (hereto) considered valid. The interpretation is where some think the speculation is rather high (the interpretation is the assertion that his formula represents the driving force behind the formation of life). Yet, there are already ideas about how we might test this in a lab. Additionally, you should take a few moments out of your day to pour through Michaelian’s research by clicking here. How Does the Brain React to Virtual Reality?